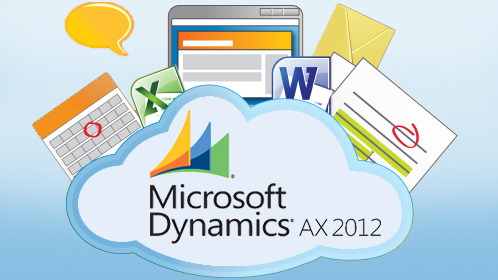 AX WONDERS: How to choose the right service in AX 2012? I hope you are having a great week. On today’s post I would like to discuss the difference between Document Services and Custom Services in AX 2012. Microsoft made a lot of changes from AX 2009 and AX 2012 and it seems to have created a sort of gray area on when to use a Document Service or a Custom Service. Both document and custom services can handle any business entity. So, how do we know which one to use? On one hand, the document services framework handles a lot of complexity out-of-the-box. For example, the framework parses the incoming XML, and validates it against a schema (XSD) document, and then the correct service action is called. This is simple as most of the logic that is needed to create, delete, update, etc. already exists, which simplifies the developer’s job. Now, what about sharing data contracts between applications? On the other hand, custom services are flexible because they use the .NET XML serializer. The issue with this is that no validation is done, which creates a problem because any validation needs to be written in code by a developer. However, custom services would allow us to share data contacts between applications, which is a plus in today’s world given the complexity of integration we are experiencing. For example, custom services would allow a company that uses AX 2012, SharePoint and .NET applications to share data contracts, making sure that the entities are the same for all the components of the architecture, and this is huge! Exposing entities that have a high complexity. Creating logic that has nothing to do with the AX 2012 structures. Inheriting logic to create, delete, update and read data from entities. It is clear that Microsoft has provided us with a lot of new ways to integrate applications by allowing us to expose the AX 2012 business logic very easily and by providing the framework to using attributes to extend our classes, and also by introducing the WCF architecture, which help us move away a bit from solely X++.